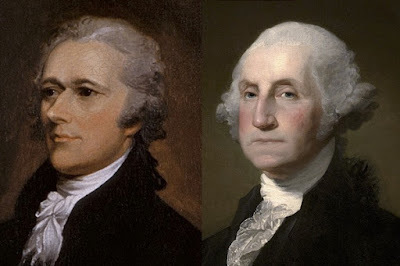 George Washington and Alexander Hamilton were instrumental figures in the making and ratification of the Constitution. However, they played very different roles at the Constitutional Convention and in the ratification debate that followed. The differences resulted in their different characters and their respective public positions. Both Washington and Hamilton were nationalists who adopted a continental vision of America after the Revolutionary War. They both lamented that the government under the Articles of Confederation was too weak to govern the new nation effectively. Congress did not have the power to tax or regulate trade, states almost went to war with each other several times, and states routinely violated the 1783 peace treaty. Washington responded by hosting the Mount Vernon Conference to help Virginia and Maryland resolve some trade disputes. Hamilton attended the Annapolis Convention which advocated a stronger central government and called for a Philadelphia Convention. Washington played a pivotal role before the Convention helping Madison create the Virginia Plan and the strategy to win a stronger government. When the Convention opened, the delegates unanimously selected Washington as president of the proceedings. 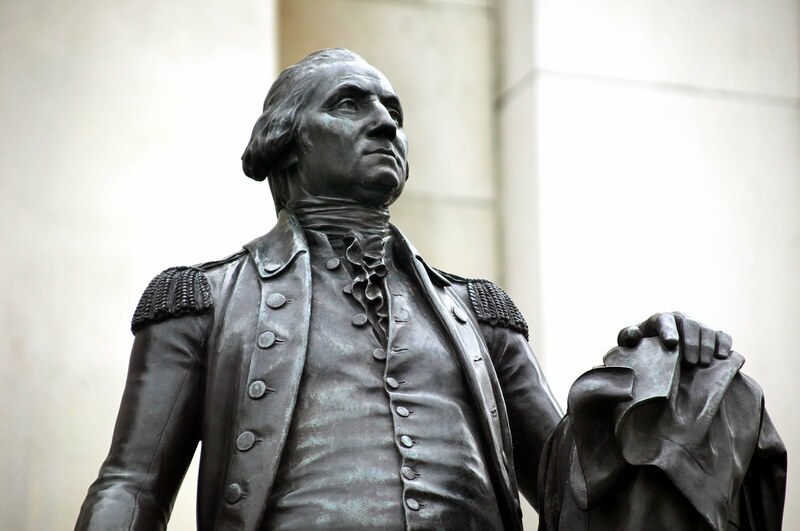 Washington’s prestige as the great hero of the American Revolution ensured that any resulting document would bear his considerable stamp of approval even when the delegates exceeded their mandate to revise the Articles. Hamilton for his part clearly sided with the nationalists but was consistently frustrated and thwarted in his design when two anti-federalists outvoted him in the New York delegation (as each state had only one vote). Hamilton played a highly controversial role in the Convention when he delivered a six-hour speech on June 18. The Convention had been deadlocked between the Virginia Plan and the New Jersey Plan, so Hamilton presented a more radically nationalist plan that would tend to moderate the Virginia Plan in the minds of the delegates. The plan stretched the limits of republican government with a president and senate elected for life, but the strategic prudence contributed to the eventual Connecticut Compromise. On September 17, Hamilton appealed to the moderation of the other delegates he signed the new Constitution despite his reservations about some parts of it. Washington affixed his signature to the document, thereby announcing to all Americans that he supported it as the law of the land. The Constitution was then submitted to the representatives of the people in ratifying conventions in the states and the debate began between its supporters (Federalists) and opponents (Anti-Federalists). On the other hand, Hamilton was a one-man wrecking crew. He conceived of the Federalist essays and penned fifty-five of them, which were lauded by Thomas Jefferson as “the best commentary on the principles of government which ever was written.” Hamilton also was instrumental in winning ratification in the New York Convention, where the Anti-Federalists outnumbered their opponents by a margin of three to one. The persuasive force of his arguments, and the successful ratification of the document in Virginia, led to victory for Federalists in New York. Hamilton, like Washington, closely followed the results in every state and even dispatched series of writers to speed news of the outcomes. Washington and Hamilton were key figures in the making of the Constitution and winning ratification. This alliance would continue to bear fruit when Washington was unanimously elected the country’s first president, and Hamilton was appointed Secretary of the Treasury. Together they helped breathe life into the new government created by the Constitution.